Preheat the oven to 375° F. Lightly oil baking dish. I used coconut oil; set aside. Arrange the banana slices in a single layer on the bottom of the dish. 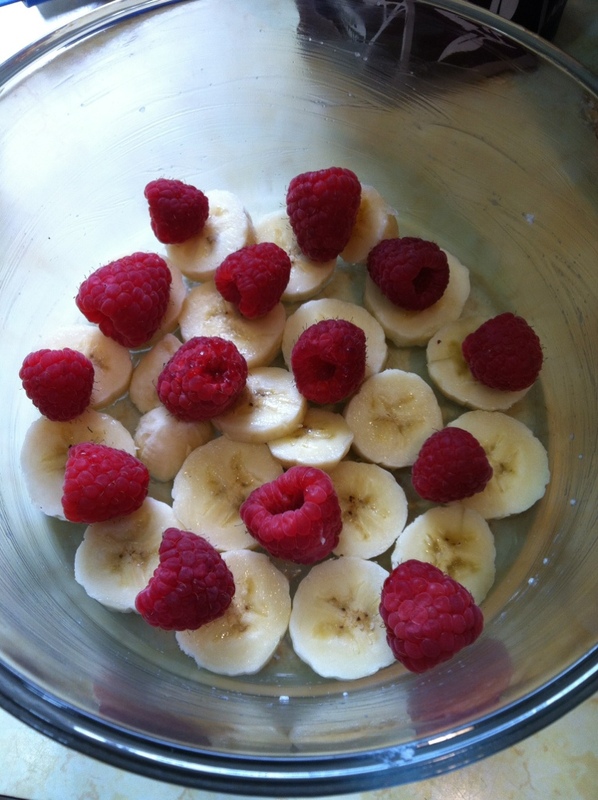 Sprinkle half of the raspberries over the bananas, 1/4 tsp of the cinnamon, 1 tbsp of the honey and cover with foil. Bake 15 minutes, until the bananas get soft. 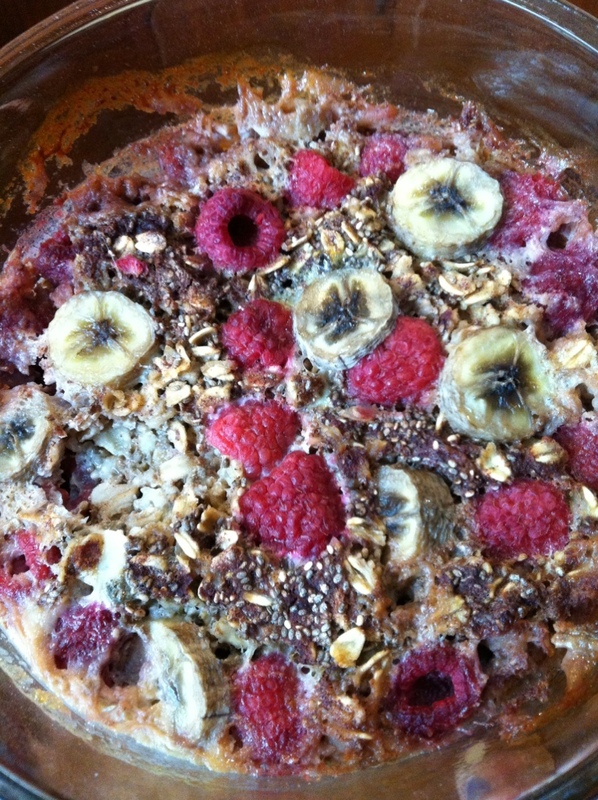 Meanwhile, in a medium bowl, combine the oats, chia seeds, baking powder, remaining cinnamon, and salt; stir together. 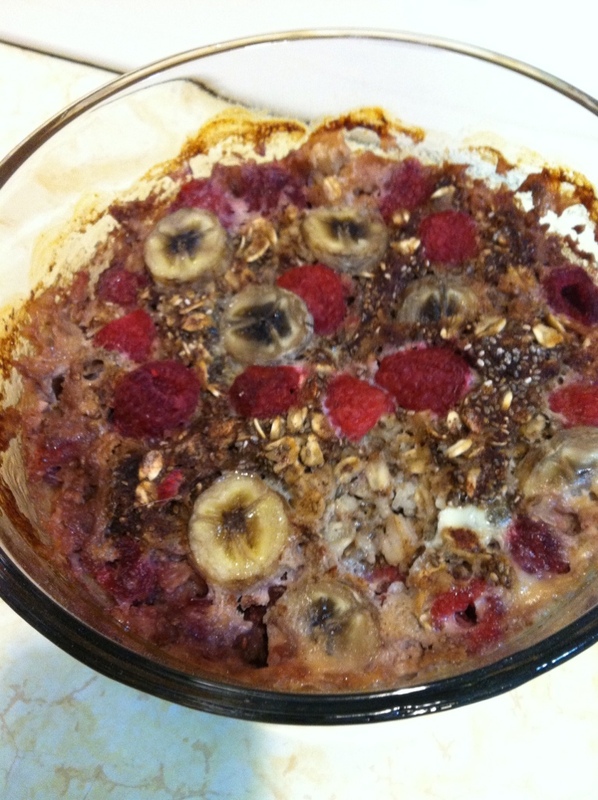 Remove the bananas from the oven, then pour the oat mixture over the bananas and raspberries. 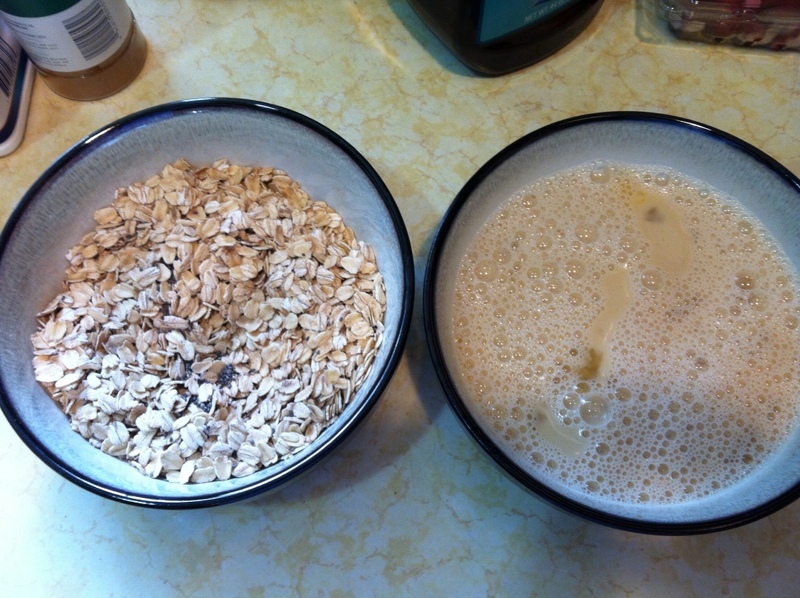 Pour the milk mixture over the oats, making sure to distribute the mixture as evenly as possible over the oats. Sprinkle the remaining raspberries on top. 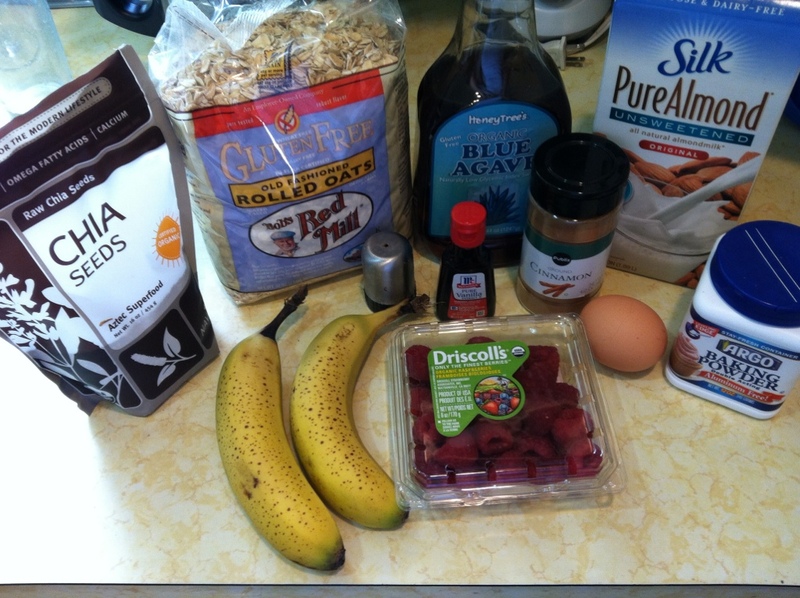 The best part is that you can make this and save it for the next couple of days and have breakfast ready to go! I need to try this sometime! Yum! This is one of my favorites before or after a long run. It’s great with strawberries too.